Home/Central, Japanese/Hiryu Japanese Restaurant | Japanese Food That Makes You Go Oishii! Hiryu, which opened about 2 months ago along Tras Street. Chef Raymond Tan, known for his exquisite and contemporary culinary techniques while keeping true to the season’s fine ingredients imported from Japan. 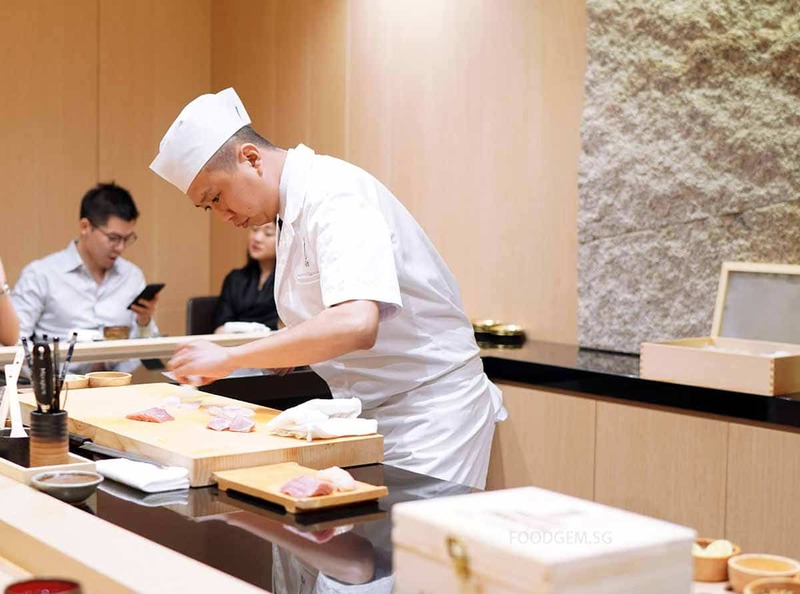 He is also from Sushi Jin (by award-winning Les Amis Group), Sushi Murasaki and Kurama Robatayaki. 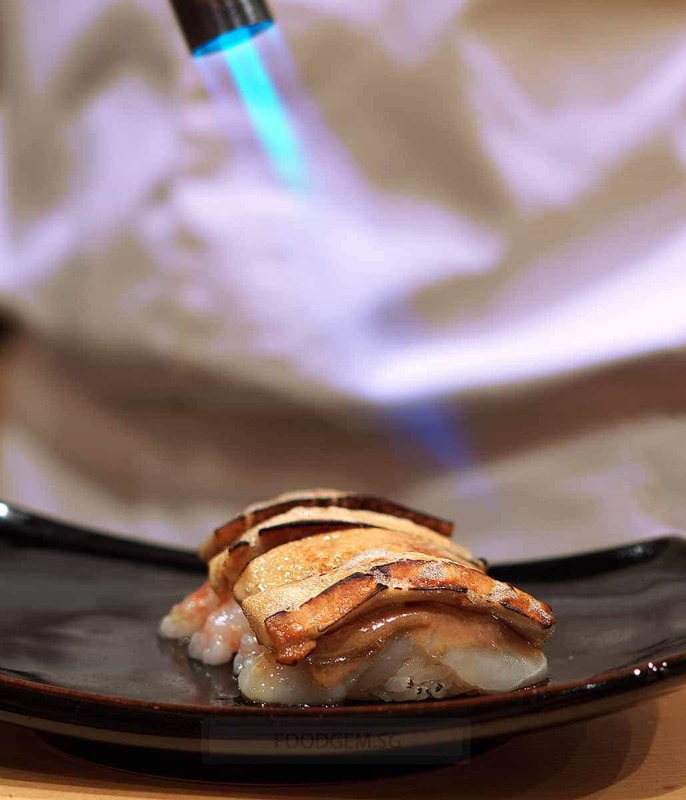 Hiryu serves up Eastern tradition with a Western influence. 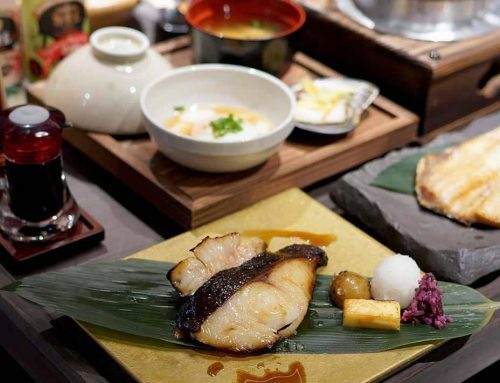 Both Omakase and specially curated chef’s recommendation menus are specially designed by Chef Raymond. 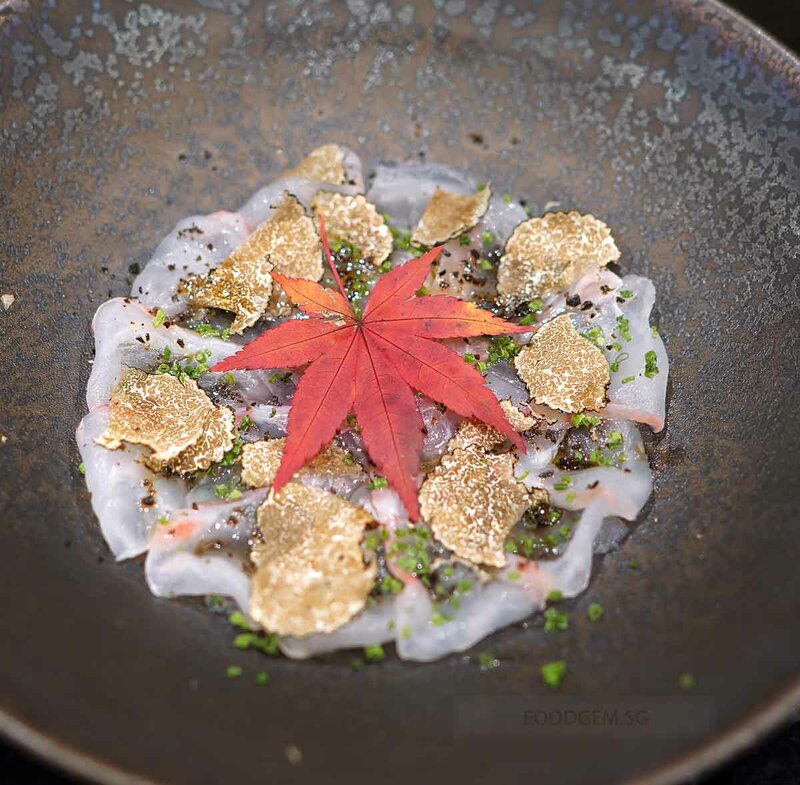 Thinly sliced snapper sashimi slices arranged flat on a plate flavoured with Shio Konbu, chives, shaved truffles, topped with savoury housemade truffle soy sauce and ends with a maple leaf that makes you feel like you’re in autumn. One of my favourite items from curated chef’s recommendation menu goes to Uni & Toro Truffle Bruschetta. 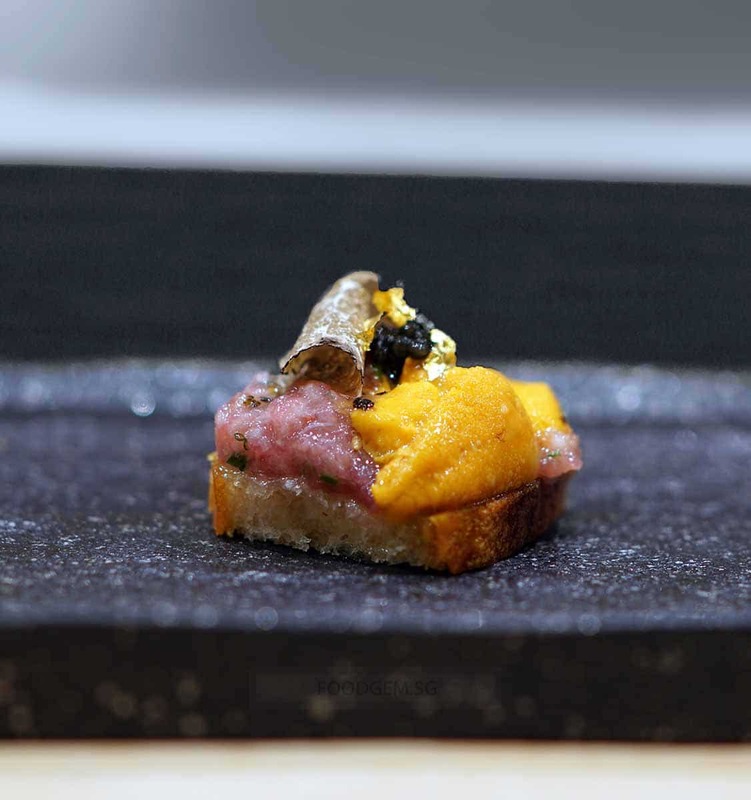 Premium ingredients including sea urchin, caviar with truffle, seasoned Japanese chopped tuna are piled atop the nicely toasted butter bruschetta. This is one indulgence that I want to eat over and over again! 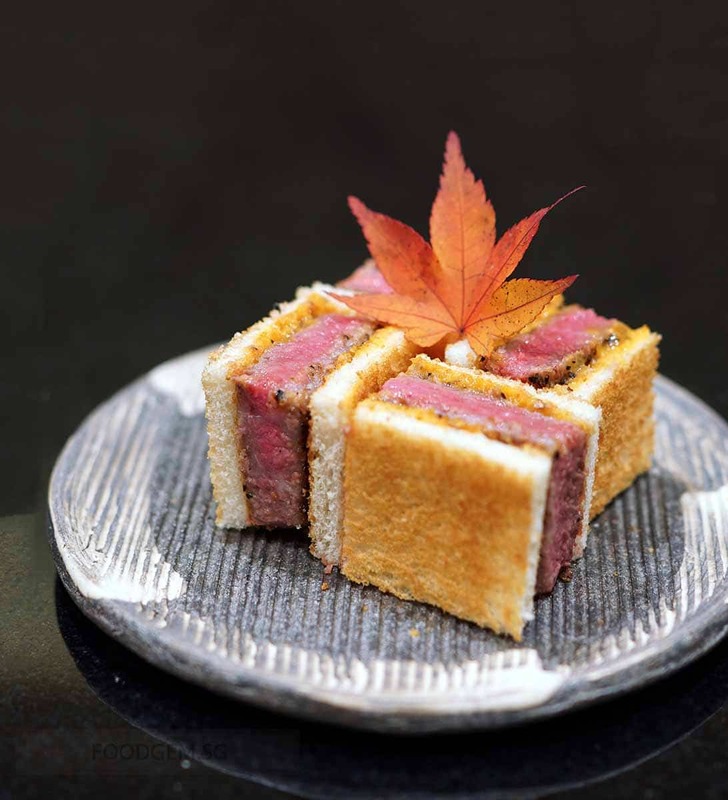 Stuff your mouth with Sando char-grilled Miyazaki A5 Wagyu smeared with sea urchin sandwiched between two toasted crisp white bread is pure indulgence. The fats are rendered nicely while wagyu remained juicy and tender. However, the seasoning of the wagyu was a little too salty for me. Hiryu Wagyu (2 pcs) at S$58. Honestly, that was my very first time of having uni tempura. The first thing that comes to my mind is the quality of the uni fillings. Will it remain fresh and sweet after cooking? Pleasantly to announce that it was smooth, still sweet and less briny taste. 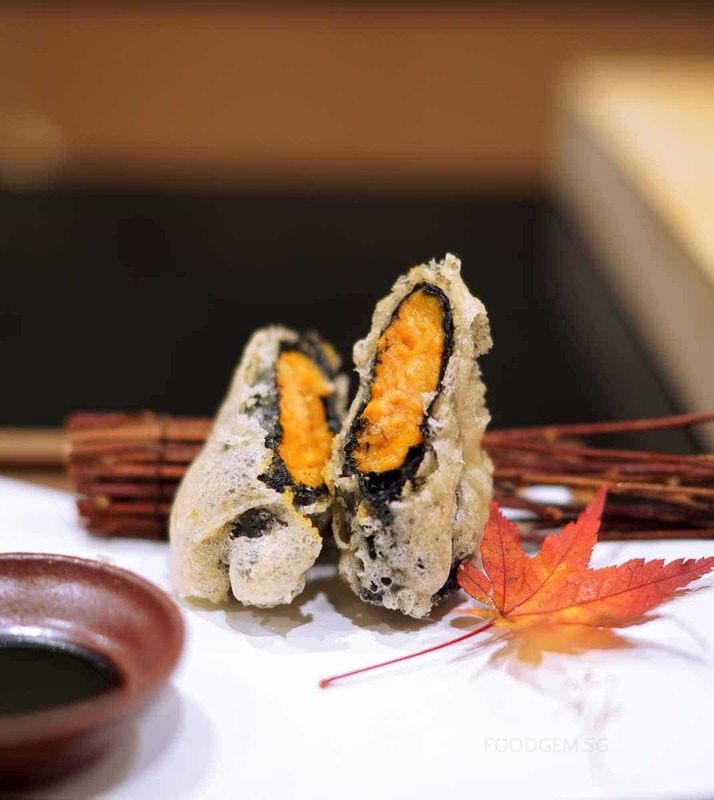 This deep-fried uni is wrapped in seaweed and served with a house-made Anago sauce. It is an item that requires complete knowledge over sea urchin and tempura-frying temperature to master this dish well. 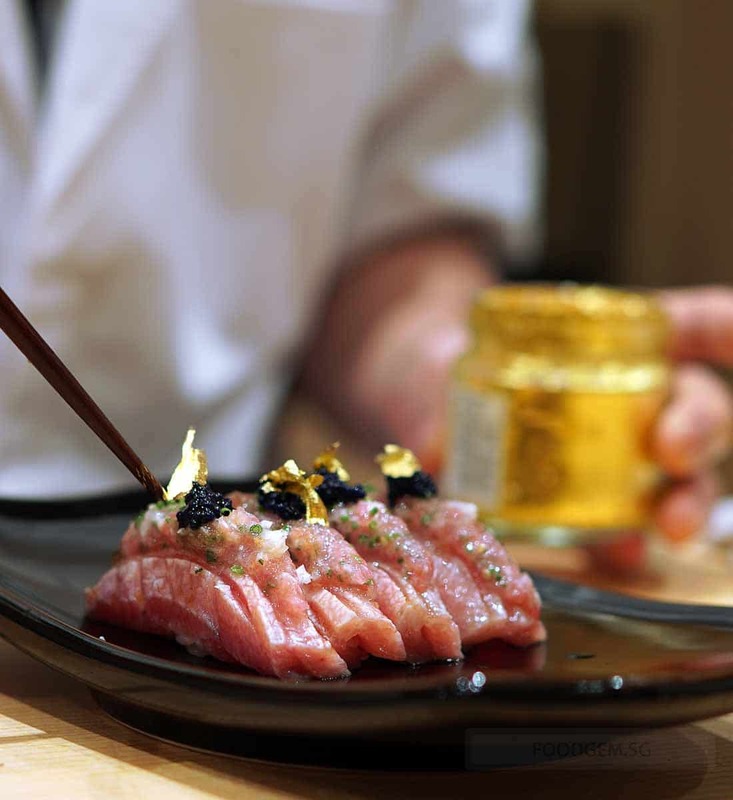 Tuna lovers will be delighted with ‘ToroToro Caviar’. The toro sashimi is nicely pressed atop a bed of warm sushi rice. 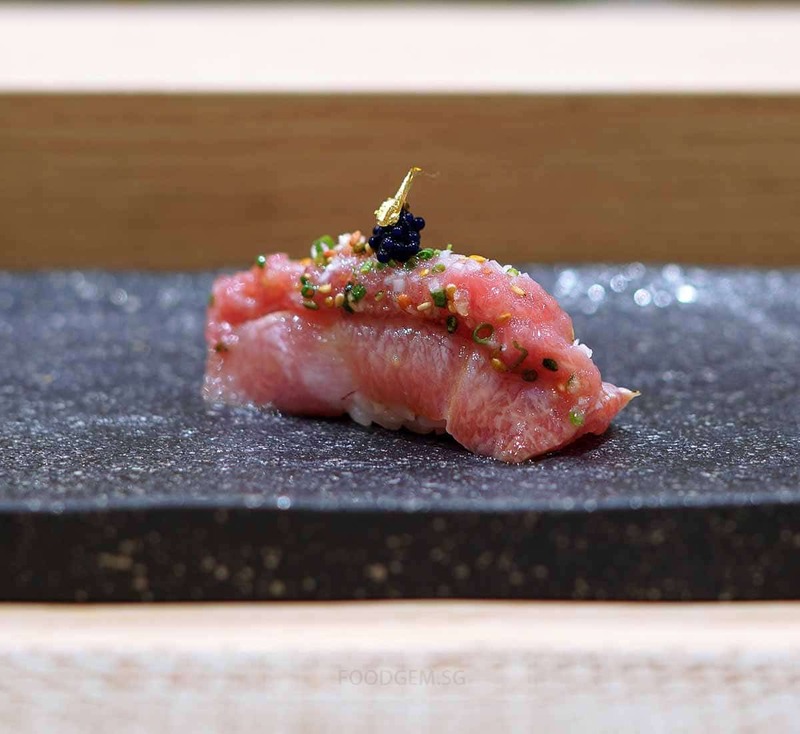 Additional hand-minced toro is mixed with green onion, black and white sesame and segmented into smaller portions before adding black caviar and gold leaf. Nice mix of flavours with fragrance of black and white sesame. This is part of the omakase course. 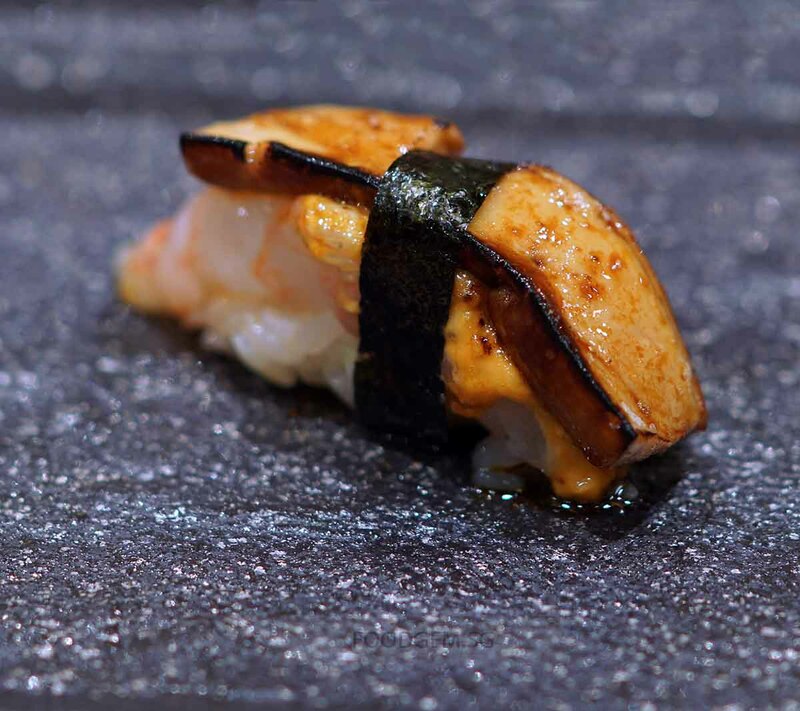 The crowd-favourite Botan Ebi with foie gras simply blossomed into an ethereal breath of spring in the mouth. The foie gras was perfectly seared, where nothing took away from that buttery sweet goodness. There are also two secret ingredients hidden – prawn head paste and anago sauce. 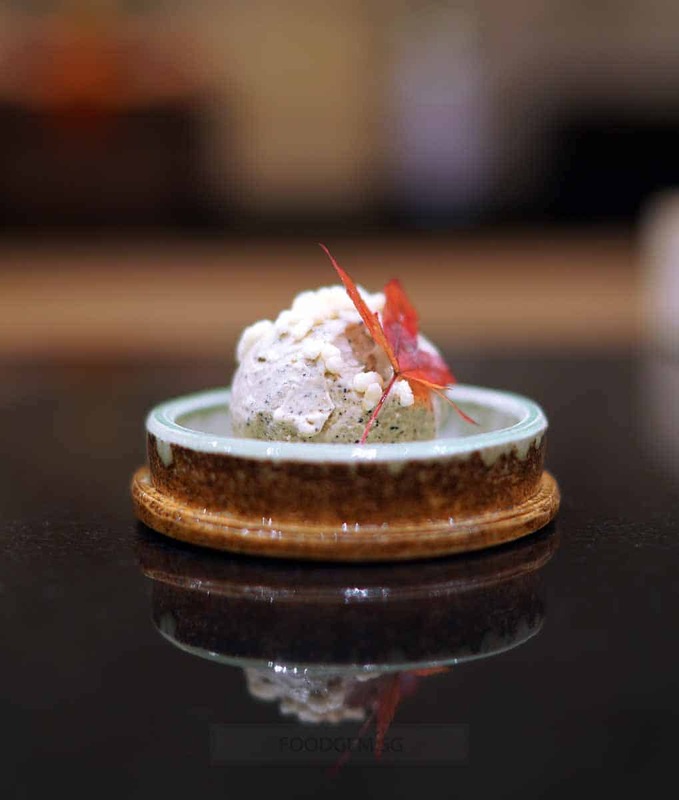 You must have this dish in one mouthful – the crunch from the botan ebi, sweetness from prawn head paste and buttery foie gras. Before our mouths have tasted a thing, our eyes have already judged it. The chilled truffle angel hair is served in a wooden box with a mystery for you to resolve. 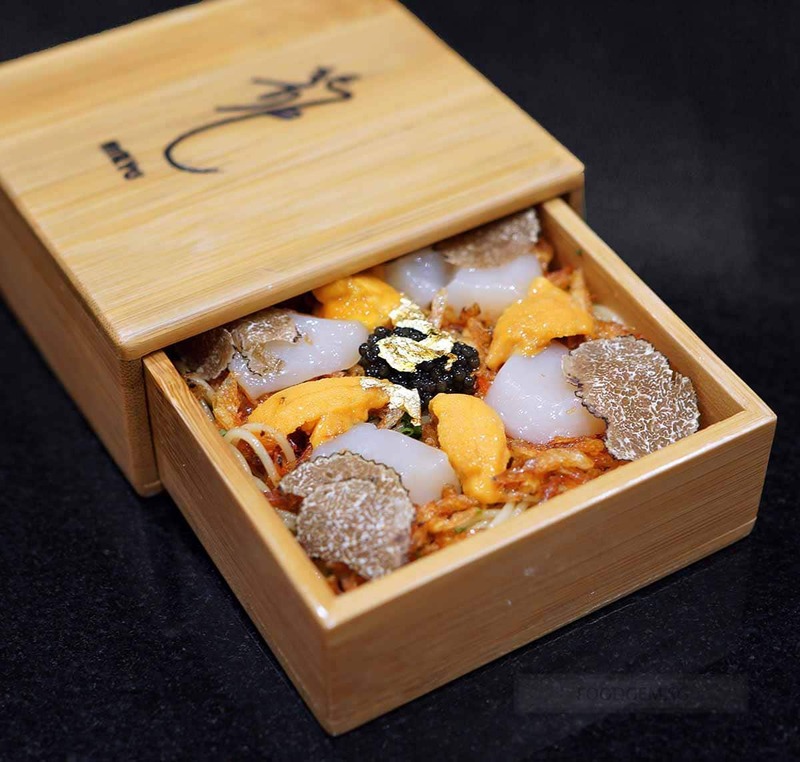 Opening the box, your senses are turned on to the strong sakura ebi and black truffle scent. You can also expect scallop, sea urchin, caviar and nicely oiled cold angel hair pasta. Chilled Truffle Angel Hair at S$75. Available on the Omakase options as well as the ala-carte menu. Something interesting at Hiryu is that there is a “Choose Your Style” menu where the diners can enjoy meat in their desire style from steak, claypot rice or Hokkaido uni or Oscietra caviar. Cooked Miyazaki A5 Wagyu gave a very good firmness while tender. 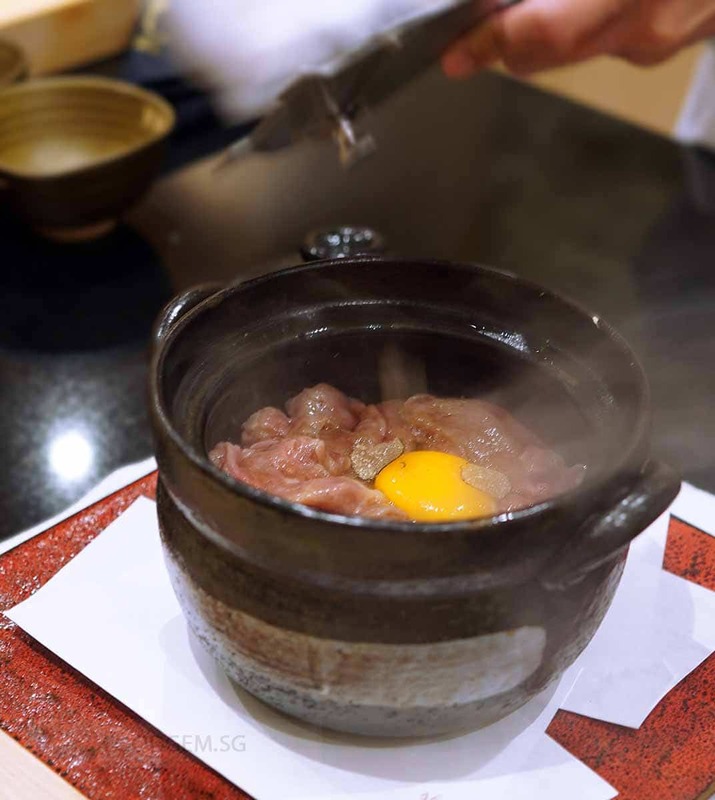 Every grain of Japanese rice is soaked in a sukiyaki base giving that soft and smoky taste from the claypot. However it doesn’t come with a burnt rice crust like the traditional claypot rice. Miyazaki A5 Wagyu (150g) at S$108. Claypot rice comes with sauce and shaved truffle at S$18. 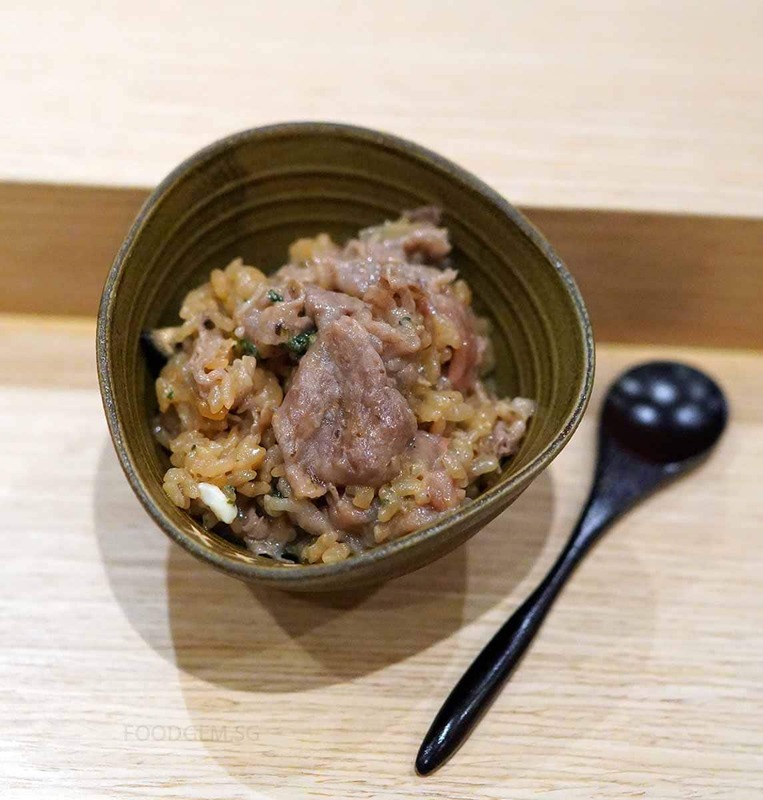 Total price for Miyazaki A5 Wagyu Claypot Rice at S$126/150g. Tried a couple of desserts and I prefer in-house truffle ice cream that is made in batches. The meal ended with a savoury edge and nice Japanese popped rice. Walk 231 m (about 7 minutes) to Tanjong Pagar Conservation Area.